How will you sustain love in tough economic times? Lisa Mininni is the best-selling author of Me, Myself, and Why? The Secrets to Navigating Change (www.memyselfandwhy.com). She is an expert on navigating change, effective and evolutionary leadership, and organizational effectiveness. She is passionate about helping others through her writing, speaking, and coaching and has been dubbed the "Transformation Architect" by professional associations and companies that have used her unique blueprint for change. Lisa is Life Transitions Columnist for Best Life Design, a website developed by Dr. Mollie Marti and Matt Hoover (winner of NBC's Biggest Loser). 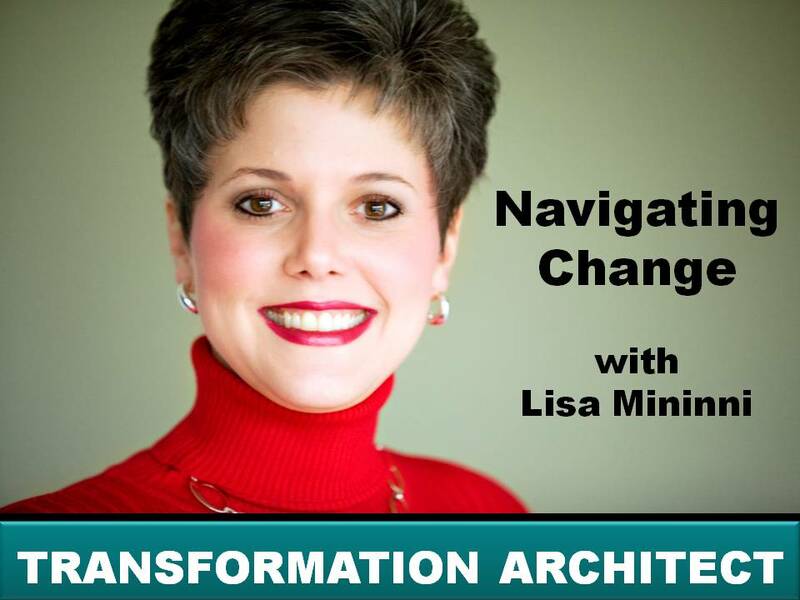 Lisa is also Host of the "Navigating Change" Show.